Opal Royal Ring comprises of elegant Opal with Diamonds placed in exquisite pattern in invisible setting. 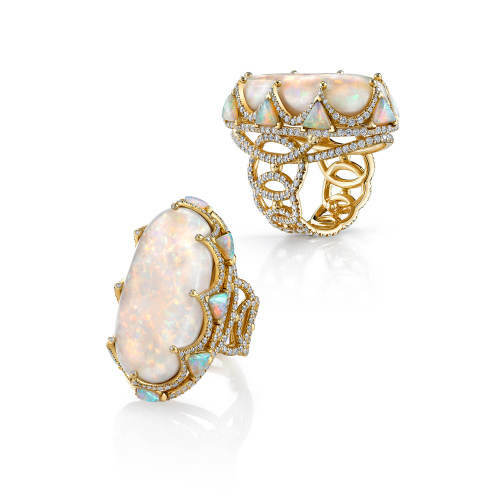 Opal Royal Ring comprises of elegant 42 ct opal with 4.28 ct diamonds placed in exquisite pattern in invisible setting. The 3.05 ct opal trilliants on the 18 kt Yellow Gold base completes the design.